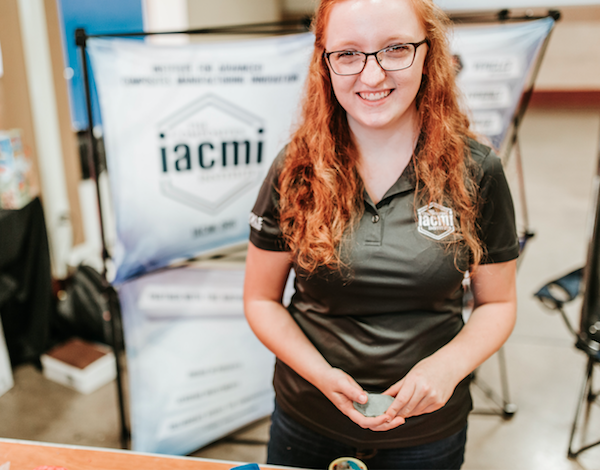 For Introduce a Girl to Engineering Day, IACMI is spotlighting an IACMI intern, Mary Daffron, who has interned at the Fibers and Composites Manufacturing Facility (FCMF) at the University of Tennessee, Knoxville, where she is also a student. Happy #GirlDay2018. I am a junior in the Mechanical Engineering Department at the University of Tennessee, Knoxville (UTK). As a Grand Challenge Scholar and member of the Executive Board of the UTK chapter of the Society of Women Engineers (SWE) for the last two years, my passion for the field is clear. I first became interested in engineering when I joined my high school’s FIRST Robotics Competition Team. I was overwhelmed at first, but I quickly learned to ask questions and that I could do more than I had imagined. My teammates and mentors inspired me to further develop my skills and pushed my boundaries making me a better team member and person. The team I was a part of was fortunate to work at Oak Ridge National Laboratory’s (ORNL) Manufacturing Demonstration Facility (MDF), where we saw cutting edge manufacturing technologies and learned from the people who were developing them. My excitement about engineering and manufacturing techniques was first sparked in this space of innovation and experimentation.